The name Zimmer Medizin might not be as well known in North American as some other cosmetic equipment manufacturers, but this German-based company is quickly making a name for itself. Founded in Bavaria more than three decades ago, Zimmer has expanded into a global company that reaches more than 60 countries. The company’s main headquarters are still located in Germany, but they also have offices around the world, including a location in Irvine, California. UsedCosmetic.com has a selection of quality refurbished cosmetic equipment and parts from Zimmer Medizin. 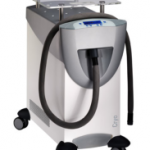 The main product line for Zimmer Medizin is the Cryo skin cooling system. The Cryo 5 system is still in wide use, and now the Cryo 6 Cold Air Device has established a strong foothold. Zimmer also produces the compact and affordable Cryo Mini. 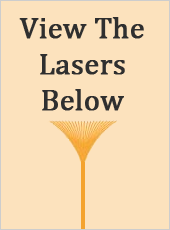 All of the Cryo skin cooling systems offer advantages over traditional cooling methods and can be used without interfering with a cosmetic laser beam, meaning they can be used before, during and after a procedure to minimize discomfort and thermal heating. The Cryo 6, which was introduced in 2008 as an upgrade to the Cryo 5 system, can cool the air down to -30 degrees Celsius. If you are looking for a refurbished Cryo 5 system or refurbished Cryo 6 skin cooling system, UsedCosmetic.com can deliver one at a price that is up to 60% off the new retail cost. When you buy a used Cryo 6 cooling system from UsedCosmetic.com, you get the security of our 100% satisfaction guarantee, along with a variety of shipping and financing options. Our technicians have the expertise to professionally recondition and test every system we sell, and we have the Cryo 6 Cold Air Device for sale at the lowest possible price. 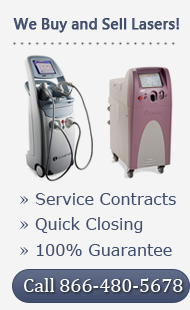 Contact us today if you would like a low price quote on used Cryo skin cooling equipment from Zimmer Medizin.